Pastor Ron Barney accepted Jesus Christ as his Lord and Savior in 1986 and having sensed God’s calling to the Gospel ministry moved to Texas in 1994 to further his education by attending Louisiana Baptist University. 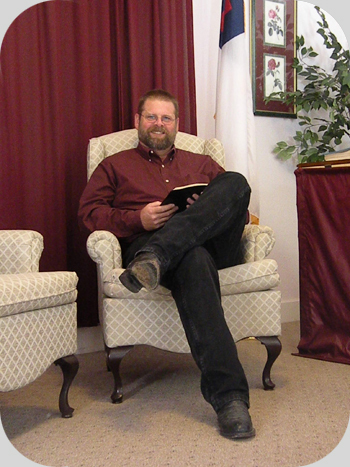 In 1996 Pastor Ron received a Master of Arts Degree in Biblical Studies. He was ordained to the Gospel Ministry in 1997 at Emmanuel Baptist Church in Henderson , Texas. While in Texas, Pastor Ron was involved in prison ministry at the local state jail until becoming pastor of Mission Springs Baptist Church. 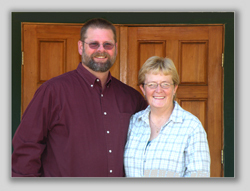 In 2000 Pastor Ron was called to Austin Baptist Church in Austin, Nevada where he served until 2007. He came to Kelsey Bible Church as Interim Pastor in 2008 and in 2009 became our Pastor. He has always been a bi-vocational pastor holding a secular job as well as serving the churches God has called him to shepherd. Pastor Ron is an energetic and passionate preacher. He strives to honor God with his teaching and preaching while remaining true to the simplicity of the Gospel, our sufficiency in Christ and the authority of God’s Word, the Holy Bible. He has been married to his wife Susie since 1986 and together they have three children: Joshua, Rebekah and Jacob born in 1988, 1990, and 1992 respectively.